A cursory listen through Just A Souvenir is likely to prompt the phrase 'jazz fusion' to pop into your head. That's not necessarily an especially new sensation whilst listening to a Squarepusher record, it's just that this album has a more overtly organic, live band feel to it than most of Tom Jenkinson's work. The incredible programming remains present, but there's a more composed feel to much of this, with tracks like 'The Coathanger' and 'Star Time 2' representing a sound that combines electronic production and individual instrumental talent with a fluency that's virtually unparalleled. Jenkinson' bass playing is laugh-out-loud brilliant throughout, although the jazz-funk aesthetic it adopts might initially seem a tad preposterous, what with the prolific use of slap bass techniques and the almost uniformly breakneck speed at which it's delivered. 'A Real Woman' is at once ridiculous and amazing - it's a little as you'd imagine Squarepusher sounding had he been around in 1973, taking on prog and krautrock influences, all blended together with just the right amount of ELO. 'Potential Govaner' is Level 42 and the theme tune to Seinfeld all thrown together at several thousand BPM. Jenkinson's clearly not been entirely left behind by the shifting tides of fashion however, and elements of metal creep into pieces like 'The Glass Road' and 'Delta-V', all of which tend to work out well, integrating nicely into the complex and dextrous arrangements. 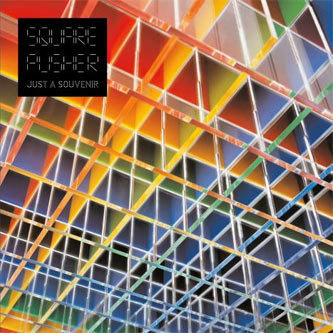 Technically confounding, and over the top in all kinds of ways, Squarepusher sounds as unique and as consummately musical as ever.